A spacecraft from Earth has now been to all the 9 planets that we knew as a kid. New Horizons became the spacecraft to cover all the planets that we knew as a kid on July 14, 2015. Our view of Pluto has changed a lot since Clyde Tombaugh spotted the minor planet in 1930. In January 2006, when the New Horizons spacecraft launched to Pluto from Cape Canaveral in the US Pluto was still a planet! In August of that year, Pluto was “demoted” to being a dwarf planet. The world (scientists and people alike) revolted against the move. 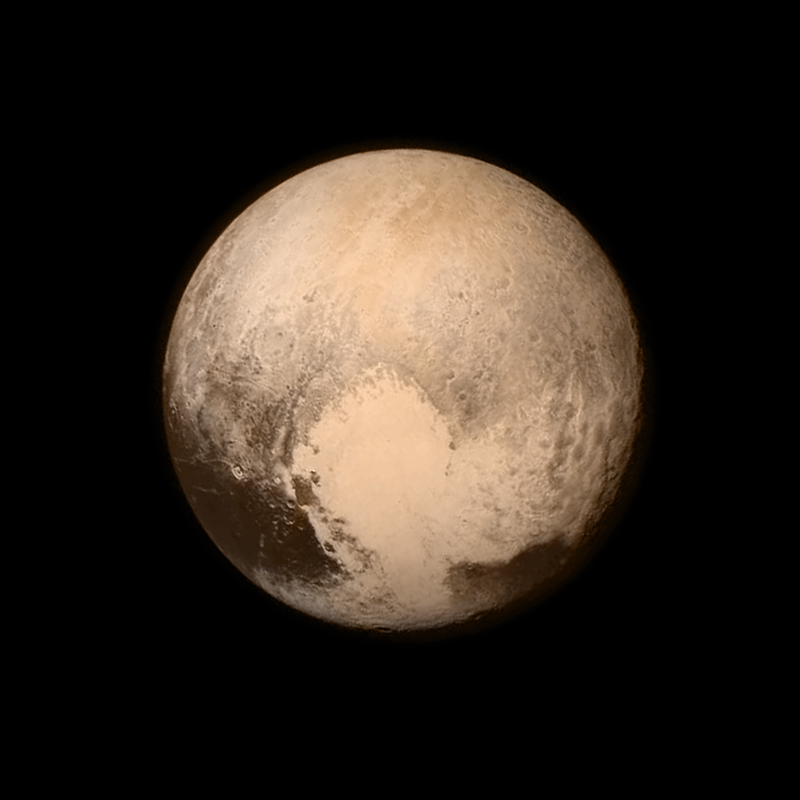 At the time that New Horizons approached Pluto it still is a dwarf planet. New Horizons successfully executed the flyby and is now in science mode taking scientific data that will be beamed back to Earth. Some of the lower resolution data that New Horizons is beaming back to Earth is now being publicly and scientifically analysed whilst we wait as this data teaches us about the dwarf planet, Pluto.